Ralph E. Godbolt is a prominent educator and advocate who is regarded as a leading scholar on the black expressive tradition. Godbolt serves as a professor in African American Studies at the Pennsylvania State University. He has also served on the faculties of Cheyney University, Holy Family University and Chestnut Hill College. He is a renowned public speaker on issues of diversity, manhood, race and community empowerment. Outside of the class room, Professor Godbolt has worked tirelessly to uplift vulnerable families and communities. 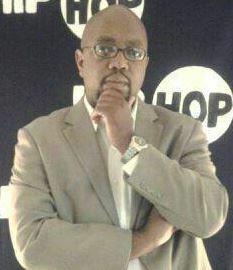 Godbolt serves as the Co-Founder, President and CEO of Helping to Inspire Positive and Healthy Opportunities for Progress (HIP HOP Inc.). HIP HOP Inc. is a southeastern Pennsylvania based youth development organization that is focused on addressing the high school dropout crisis and preparing youth for post-secondary success. HIP HOP Inc. supports youth, families and communities by developing and implementing innovative, quality, research based out of school time programs. Participants of HIP HOP Inc. have increased their college readiness skills by publishing a book of poetry and photography, producing a short documentary and leading in the development of a teen led and teen focused podcast. Ralph Godbolt’s commitment to community, diversity and empowerment includes his service as the former Executive Director of Special Olympics Philadelphia, an organization dedicated to supporting individuals with intellectual disabilities. Godbolt also served as the former President of the West Philadelphia Alliance for Children, an organization that expanded access to core educational services, such as libraries to nine thousand low income youth. Professor Godbolt is the author of the book, “Kickin the Ballistics: Reflections on the Hip Hop Generation, Poverty and Power” and the soon to be released book, “Ralph E. Godbolt: Unchained”. Kickin the Ballistics, explores the intersection of public policy, poverty, education, violence and Hip Hop culture on the present state of America’s urban centers, while Unchained explores the present state of young black men, the relationship between communities of color and the institution of policing along with the present state of race relations. Godbolt has been educated at Clarion University of Pennsylvania, Cheyney University of Pennsylvania and the Pennsylvania State University.